It’s time for our first in-house day! 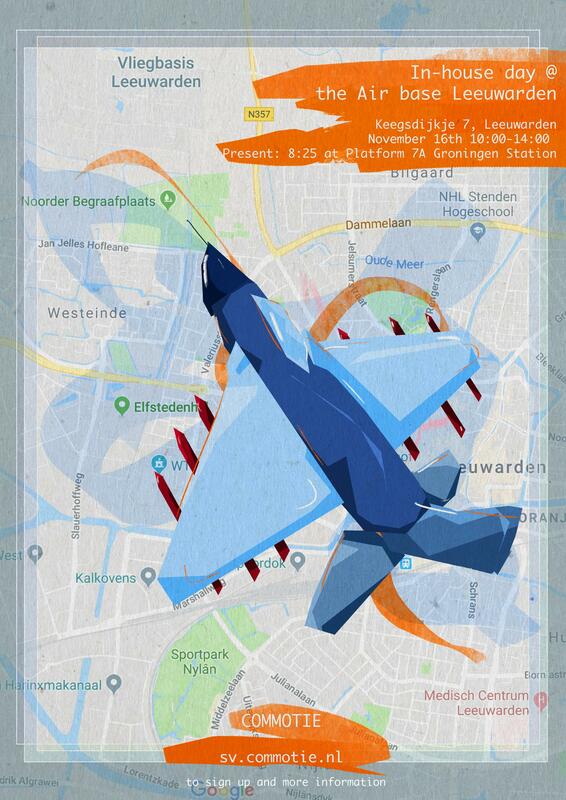 This time we will go to the Leeuwarden Air Base, which is one of the 2 Dutch F-16 air bases and part of the The Royal Dutch Air Force. Imagine the sound of these F-16s, exciting right? No doubt! Although, for the neighbors of the Air Base it’s not always as exciting. The noise of these F16s may cause some complaints. An important job for the communication department of the air base is maintaining a good relationship with the neighbors, and keeping them up to date about the activities on the air base. But what’s the best way to reach these people? This is one example of all the things that the air base has to deal with on a daily basis. During the day we will hear all the ins and outs about working at the communication department of air base Leeuwarden. Not only will we be able to ask questions, we will also work on a some interesting communication cases. Besides that we will have the chance to walk around the air base and explore the area. We can guarantee you it will be an interesting and most of all fun morning! The in-house day will take place on November 16th, from 10:00 to 14:00, at Keegsdijkje 7 in Leeuwarden. We will travel by train and leave at 08.42 from Groningen train station and we will arrive at the air base at 09.45. Make sure you are on time, we will gather at 08.25 at platform 7a. Also don't forget to have enough balance on your public transport card or make sure you bought a ticket! One last important note: you have to bring your ID or passport to the air base, otherwise you won’t get access. You will receive an email with all the details of the in-house day on the 15th of November. Together with the air base we are looking forward to the first in-house day of this academic year!